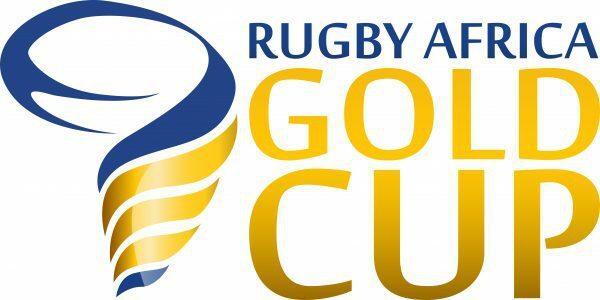 Kenya Simbas started their chase for the 2018 Africa Gold Cup by seeing off host Morocco 28-24 in their opening tie in Casablanca on Saturday 23 June. 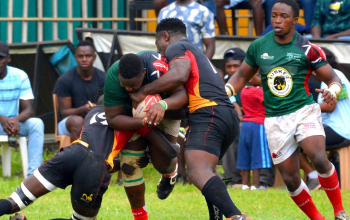 The win, the first ever for Simbas out in Morocco, hands new coach Ian Snook of New Zealand a second win in as many games to follow up on a 34-16 Elgon Cup first leg win over host Uganda late last month. In two previous visits to Morocco Simbas lost 29-3 on 7 May 2005 and 29-11 on 11 July 2009. Kenya went ahead 7-0 with a try from new fullback Biko Adema and conversion from Darwin Mukidza. But two unconverted tries by the hosts saw Kenya trail 10-7 at half time. Into the second half Morocco stretched ahead to 17-7 with another converted try. A try from Tony Onyango at the posts followed by another by front row Moses Amusala, both converted by Mukidza, sent Kenya 28-17 up. 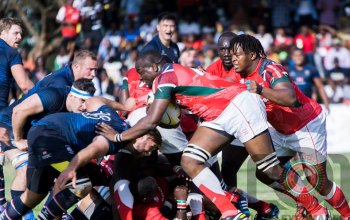 The game had a nervy ending as Morocco closed a 28-17 gap to 28-24 with a converted try and Kenya had to play the final five minutes a man short after debutant Edmund Anya of Strathmore Leos, playing at wing, was sin binned. In the final play Morocco knocked on in the scrum with the line in sight to hand Kenya the narrow win. Max Kangeri earned his debut after coming on for injured inside centre Leo Seje of Impala in the 63rd minute. The Casablanca clash was Kenya's opening game in the Gold Cup that also doubles up as 2019 World Cup qualifiers but for Morocco it was the second game coming a week after they shocked host Zimbabwe to a 23-23 draw in Harare. Up next for Morocco and Kenya are home games against Namibia and Zimbabwe, respectively, on Saturday 30 June. 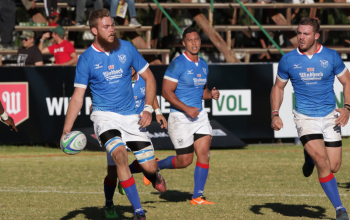 In the only other tie played on Saturday, Namibia flattened Tunisia 118-0 in Windhoek to add on to their 55-6 win over Uganda at the same venue last weekend. Namibia leads the six-team log with ten points with Kenya coming second with five.